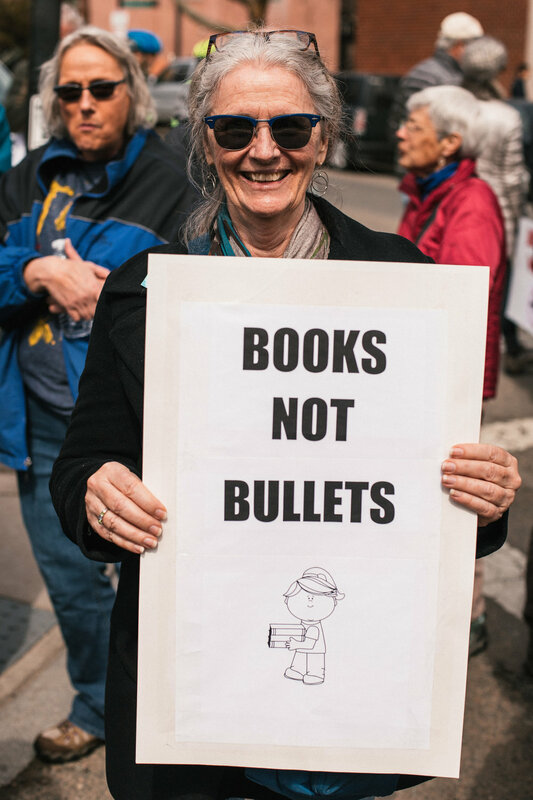 On Saturday, March 24, 2018, hundreds of thousands marched across the United States and around the world in support of stricter gun laws. 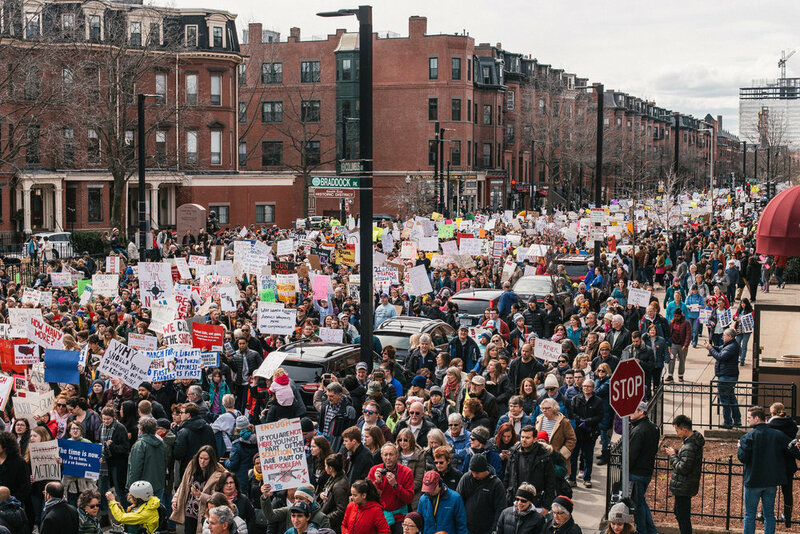 In Boston, an estimated 50,000 people joined the march from Roxbury to a rally on the Common. 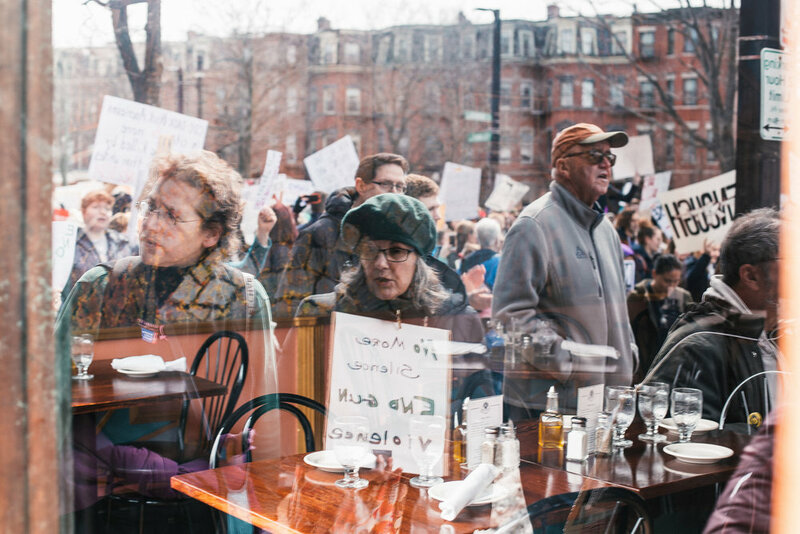 I've photographed several marches and protests over the last two years but this one was different. The atmosphere was more energetic, more positively charged, and more hopeful, but also more sorrowful. Seeing kids in high school and middle school, many not old enough to vote, turn out in such huge numbers is simultaneously deeply encouraging and soul-crushing. 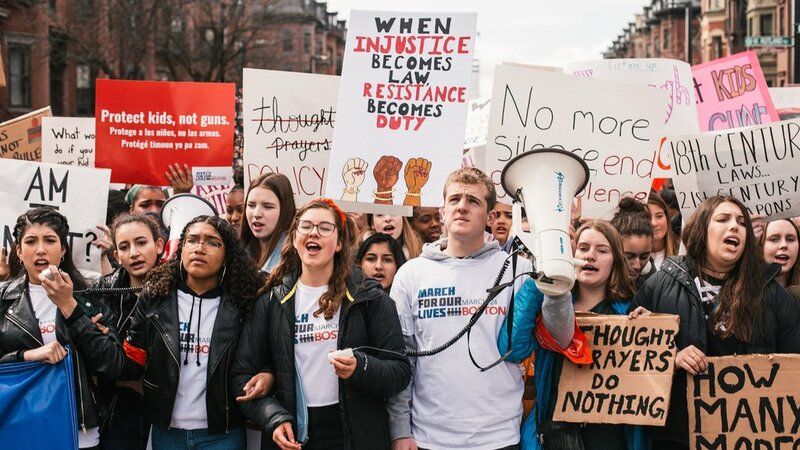 Many voices are praising the kids in these photos as the future leaders of our country. While encouraging, it's sad to think that we're placing the burden of change on these young students. Look closely. Behind the clever signs and slogans chanted in unison, there is fear. There is fear that old laws won't be amended in time and new ones won't be implemented fast enough. Fear that this flashpoint of an issue will hold up efforts to make schools, theaters, malls, and concert venues safer. Fear that their friends and classmates will remain in danger. Fear that the older generations, the ones in office and in power now, will abandon this younger generation. Out of indifference or unwillingness to fight against the inertia of the status quo. Or our of their own fear of political backlash. I feel incredibly fortunate that I'm able to capture images of this movement. When you look at these photos, please take a close look at the faces within them. See the determination, the hopefulness, and the intensity of their belief. 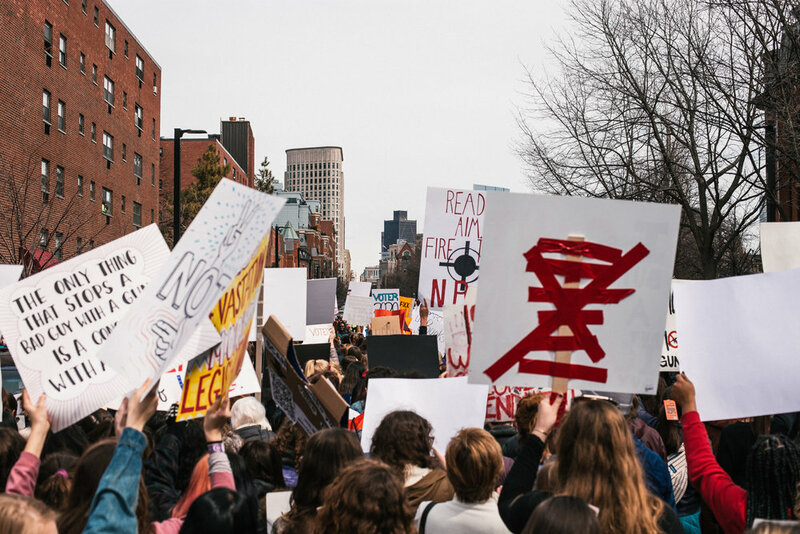 If these kids can turn out by the thousands then we owe it to them to overcome our own fear and join them in this fight.